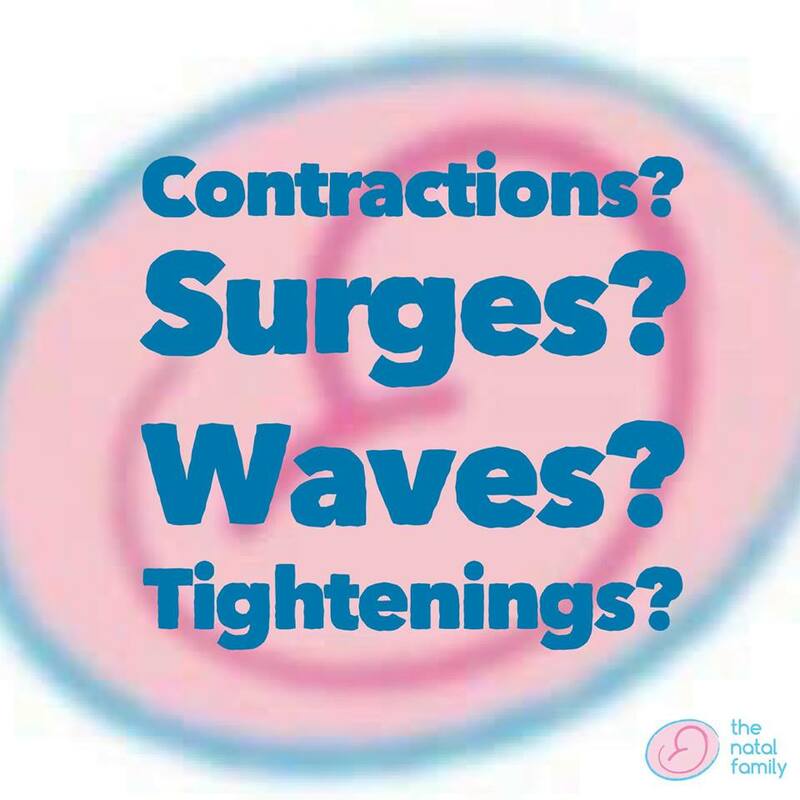 Personally, I don’t identify positively with the words ‘wave’ or ‘surge’. As someone who has spent a life-time struggling with a fear of the sea and water, these words are automatically loaded for me. 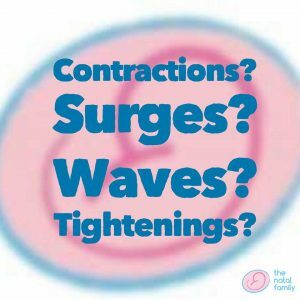 During one of my first births, visualising my sensations as surges made me feel as though waves were crashing over me, pushing me down and it was difficult to get up for air… The strong association and visual, just didn’t work for me at all, and so the numerous antenatal programmes which insisted using this word made it impossible for me to engage with them for my subsequent births. I quite like the word tightenings. For me, it sums up how I experience the sensations of labour quite well. In my mind, it’s a very positive and non-threatening word. I’m also very comfortable with the word contractions. It’s a word which describes a physiological event, and I know that my body contracts in lots of different ways every single day. So, for me, it’s a word which I see as describing something very normal and in birth, positive. But that’s me. And we are all different. I wouldn’t suggest anyone use one of the names I like, just because I have found it works for me. I advocate working out what language of birth YOU are comfortable with, and finding the words which help you positively prepare for your birth and/or describe your sensations.What is important isn’t the word we use, or labelling specific words as ‘bad’ or ‘good’, but how it makes us feel. So at MummyNatal, we talk about birth sensations, and women are empowered to decide for themselves what word they wish to use to describe them. After all, you may not know until labour itself, what word feels right! You may even find that as the sensations of labour change, the word you want to use to describe what you are feeling also changes. Space to work this out as part of your birth planning, and support from your birth partner to support you to have your wishes heard and respected, we think is just as important as what word you might choose.